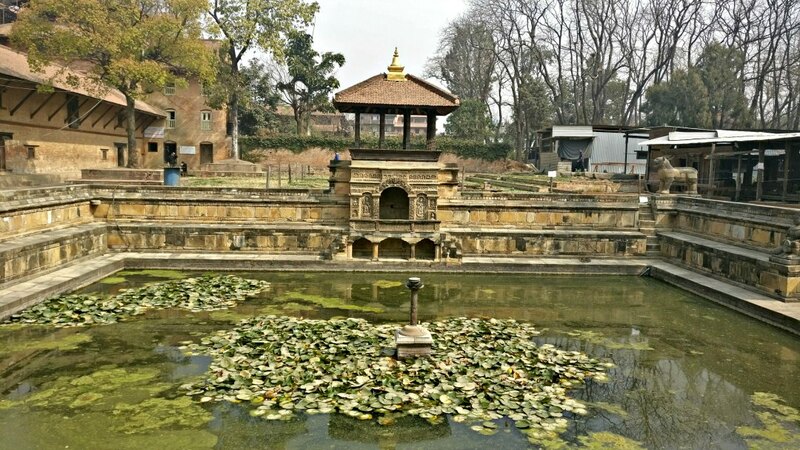 At first, when I glanced at Patan Durbar Square in Kathmandu, it felt oddly out of place. The entire square area appeared as if somebody had dropped in a small plaza at the centre of old town of Kathmandu. While the area outside looked chaotic and bustling with people constantly moving around, the square wore a pleasant old day charm. 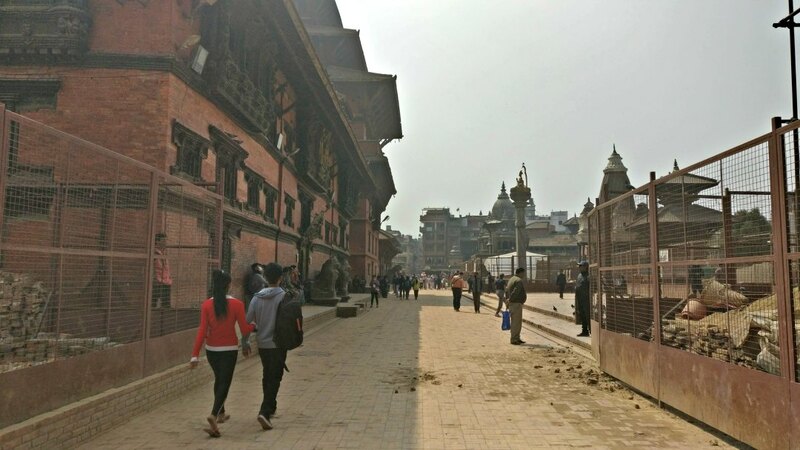 The contradicting vibes made Durbar square in Patan more alluring. After trekking to Ghorepani, it was our time to explore Kathmandu’s various facets. We arrived at Patan Durbar Square after a scrumptious breakfast. We got our entry tickets and started on foot quickly, as we discovered we had a lot to catch up! The Durbar Square at Patan in Kathmandu is one of the three Durbar squares in Nepal and is now listed on UNESCO’s world heritage sites. 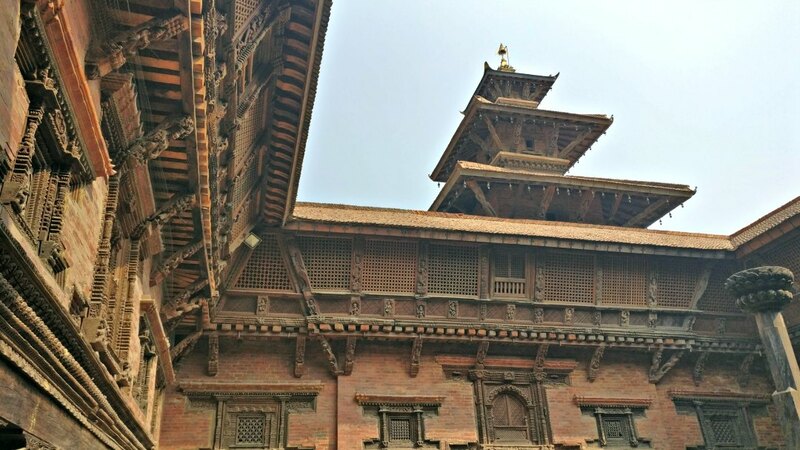 Located in Lalitpur in Kathmandu, Patan Durbar Square was home to Malla Kings and occupied an important place to the royal family of Nepal. The Patan Residential Palace, which is now converted to a Museum was the centre house of power, culture and grandeur. 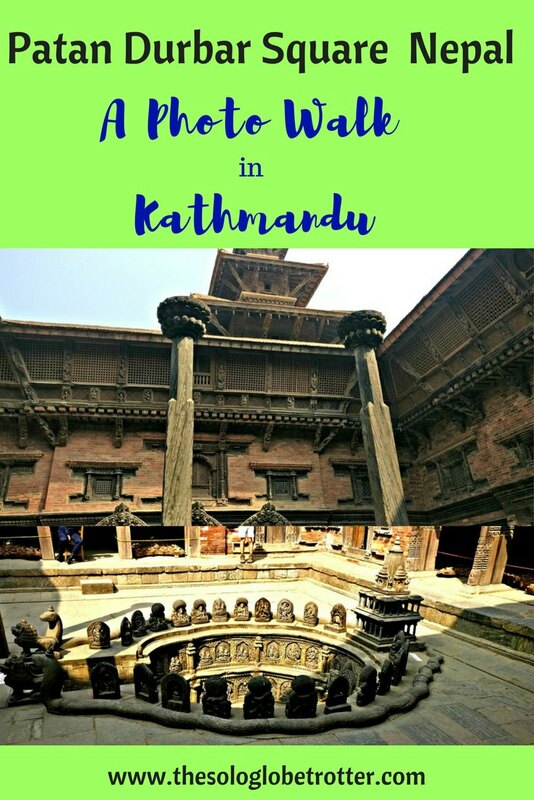 The local people of Kathmandu that lived here were called Newaris, and they were specialized in creating brilliant pieces of art and architecture that are evident in the monuments everywhere in Patan Square. 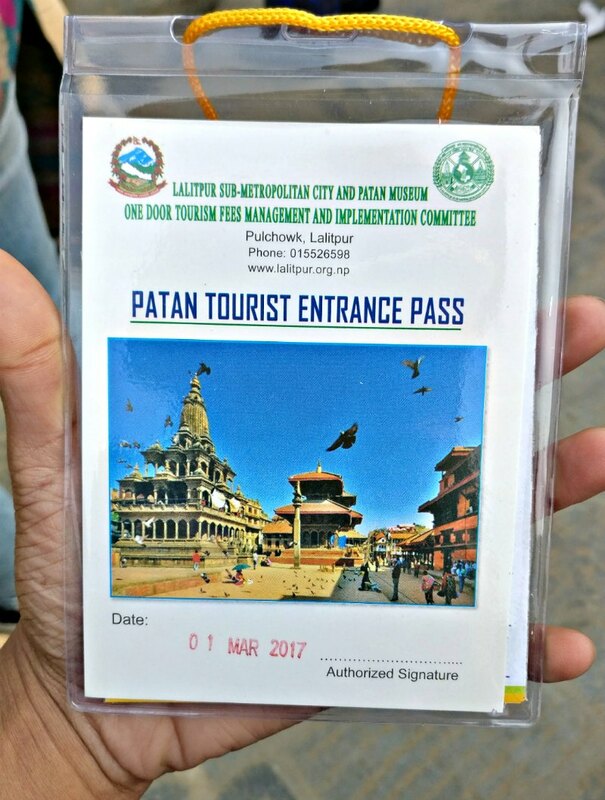 We were told that we only had a few hours at hand as we stepped into this Patan durbar square tour. But little did we know that those hours would soon look like minutes. It felt like walking into some wonderland of the architecture of a bygone area, feeling similar to my visit to the temples of Cambodia. 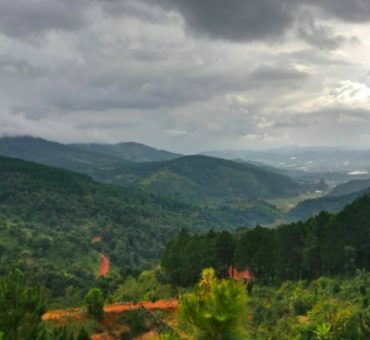 I was lucky there, as I had 3 full days (but still felt insufficient!) So imagine just a few hours at your disposal, given that you also have to capture these beauties on your camera! Anyway, my rant aside, let me take you through the brilliance of Patan square with my pictures that says a thousand words! Our first stop was the residential palace of Patan, which is now a museum. The place has a lot of monuments, and I was disappointed for having had to rush through for the lack of time. 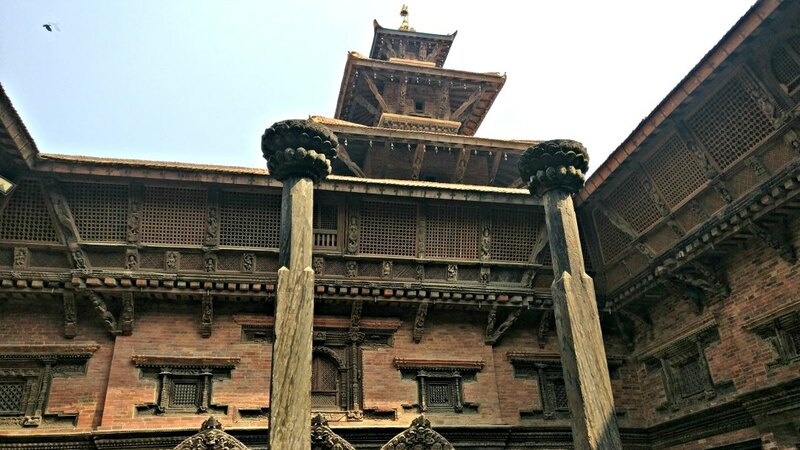 So if you are into history and architecture, I suggest you keep a day or more for Patan durbar square! A walk inside the museum took me through the history of the kings, who were the followers of both Buddhism & Hinduism. 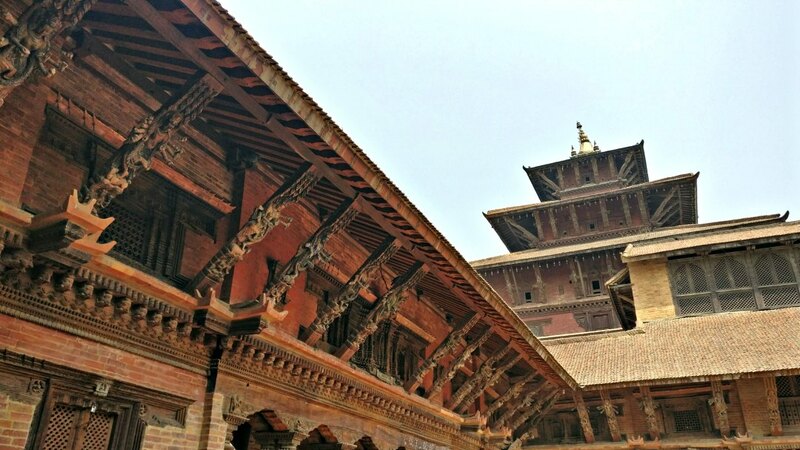 In fact, the entire durbar square is built incorporating the style and the traditions of Buddhism. 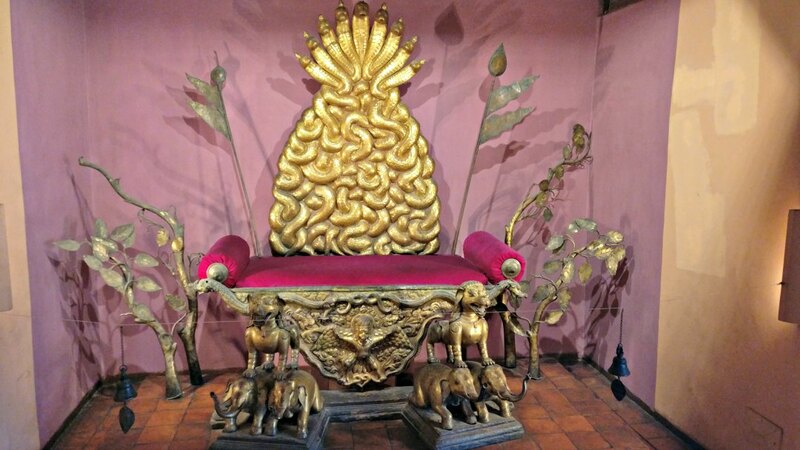 The golden crown in the museum belonging to the Malla kings is well preserved. 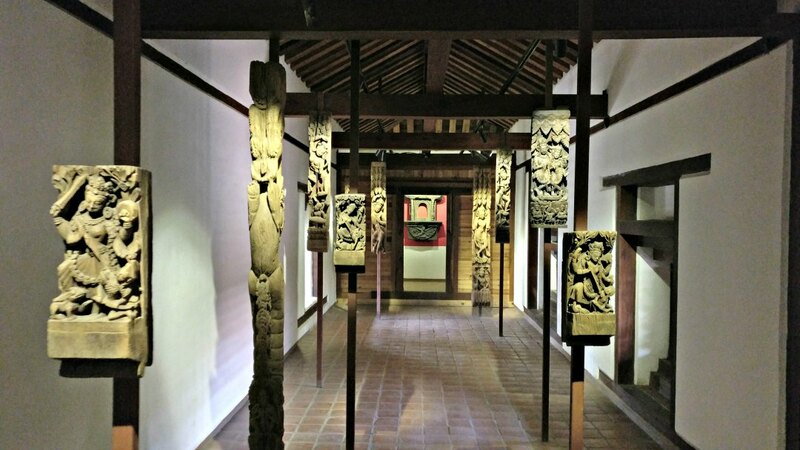 The inner walls of the roof are made of wood, which bears the carvings of mythological characters from Hinduism and Buddhism, It was a delight to look at these perfectly finished sculptures, especially the windows and the doors. I have a special penchant for crafted doors and windows, and I couldn’t stop admiring the craftsmanship of the creators of these master pieces. There is Tusha Hiti, or the prayer hall in the quadrangle of the royal palace, where the kings worshipped the deities and performed austere rituals. I was besotted by the statues that adorned the yard in the prayer square, each of them so intricately carved in stone to come to life. 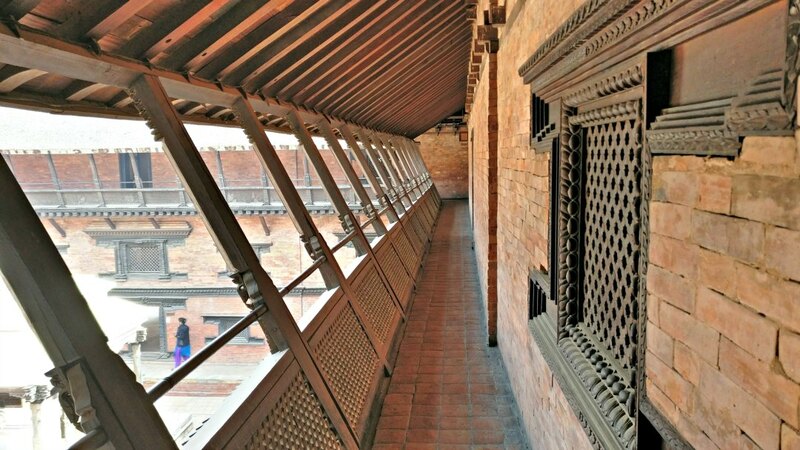 The rooms on the upper side of the palace open to these corridors on all the four sides, giving a perfect view of the Keshav Narayan Chok at the centre. 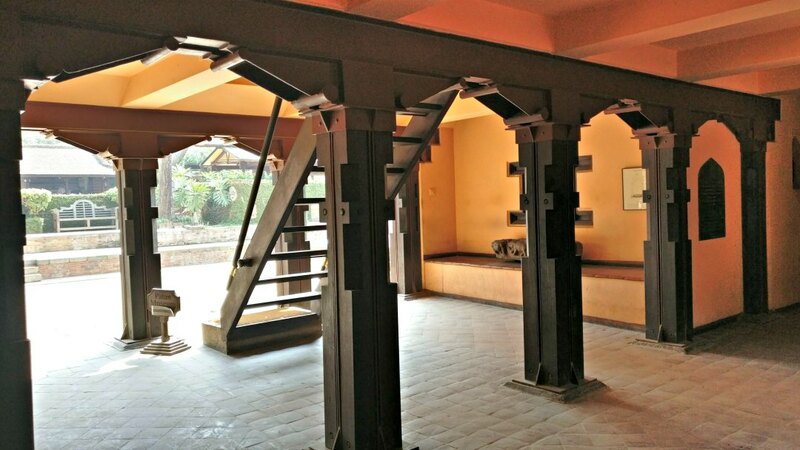 The symmetrically laid carved wooden pillars double up as an attractive addition to the decor. Most of the rooms in the palace have been used for the museum, and I was impressed by this artistic entrance in one of the floors. 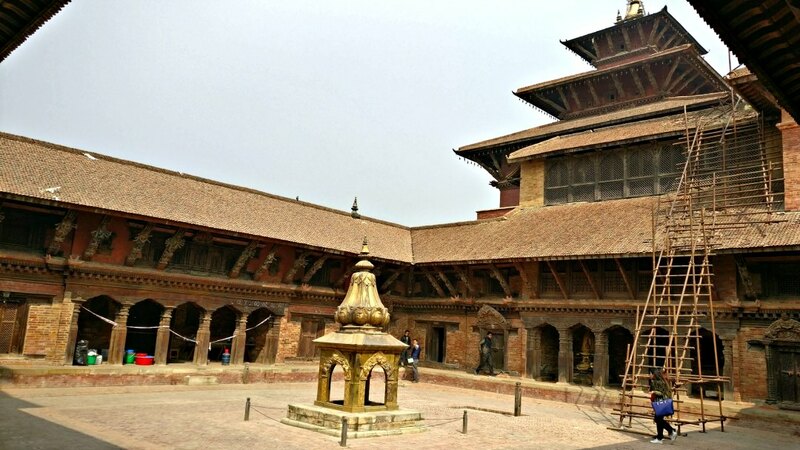 One one side of the palace lies the old temples, and the road connects Patan durbar square to modern Kathmandu. On the backyard of the palace is the garden of Bhandarkal. Although there isn’t left in the garden, the huge pond at the centre testifies the beauty of the remains of the garden. The stone steps surrounding the pond are decorated with carvings, the best being the small temple on the side of the pond. As I dabbled in getting to know this square and capturing on my camera, the exemplary sculptures reminded me from time to time of the greatness of the skilled artists who worked for perfection. 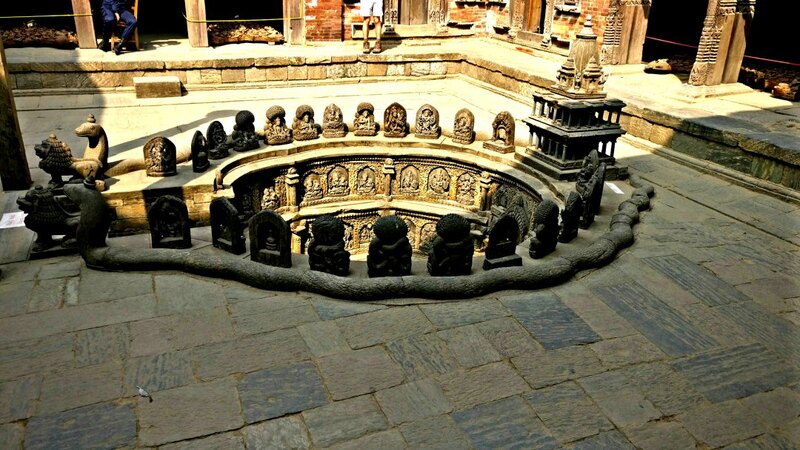 Patan square is home to many Hindu temples that are located next to the palace museums. Bhimsen temple located on the end of the square attracts a lot of visitors. 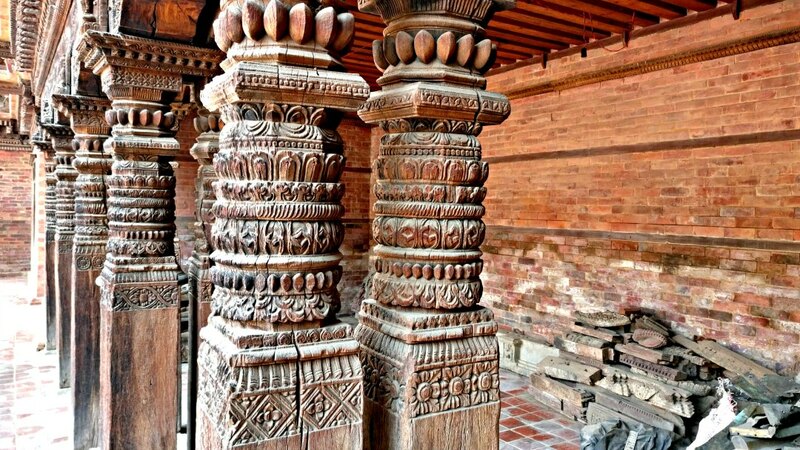 Some of the marvellous artworks on the pillars inside the premises of Patan Palace that I captured through my lens. 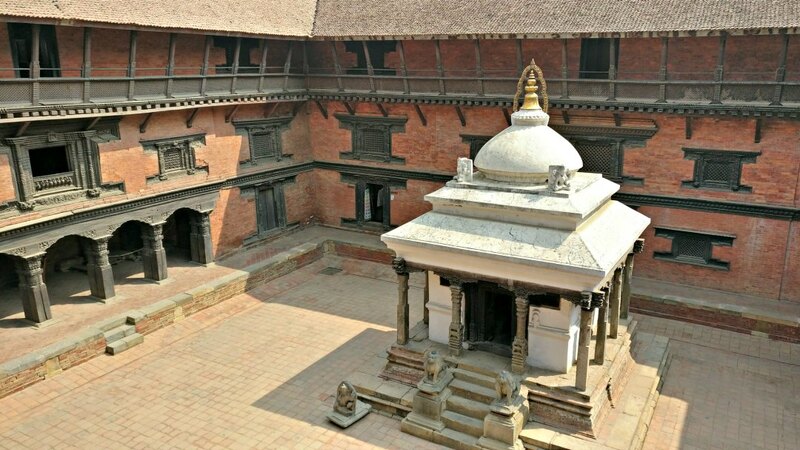 The other temples at Patan Durbar square are Vishwanath temple and Taleju Bhavani temple. 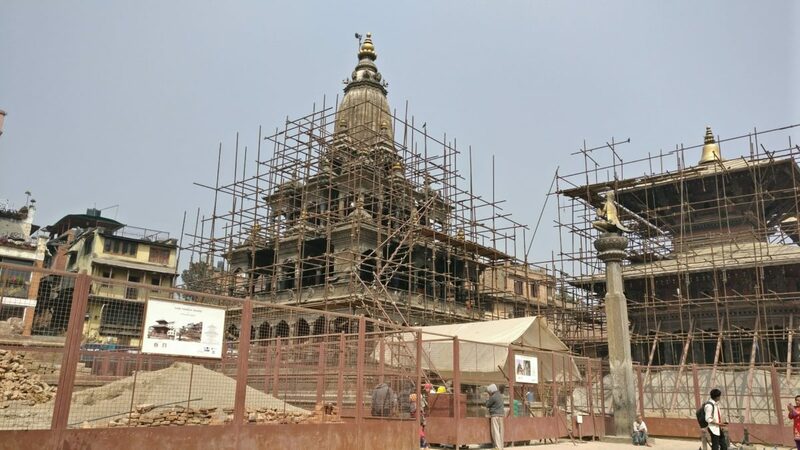 The severe earthquake that devasted a large portion of Kathmandu in 2015 also affected Patan Durbar Square, although it looks better compared to the other monuments of Kathmandu. Most of the monuments are now supported by heavy logs that have been placed at regular intervals as some of these are cracked at places and look fragile. The reconstruction work is on at many places but I felt as though I was walking through the city that just suffered the Castro trophic quake. It felt like seeing the images of Nepal earthquake again in person. Hope the city falls back on feet in full fledge at the earliest! 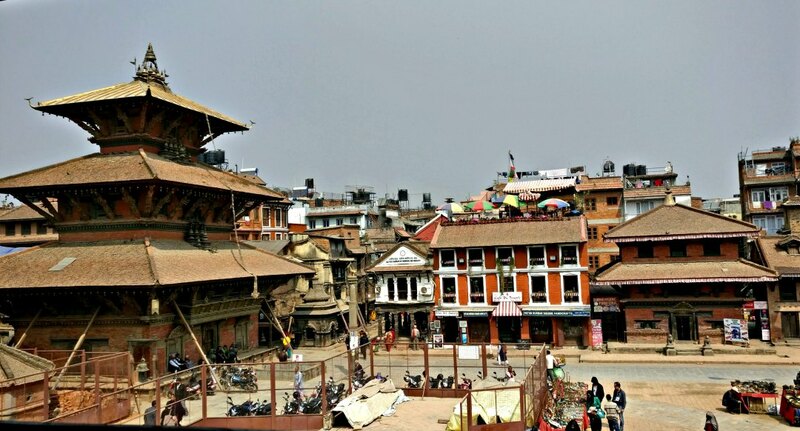 Patan Durbar square is roughly about 30 mins away from the main city of Kathmandu. There are plenty of options available to reach the place, including cabs. Once you enter, you have to buy a ticket for entry. 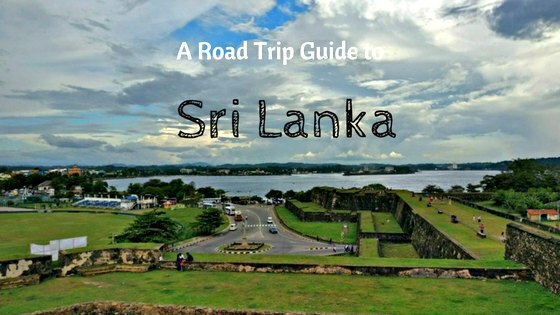 The cost is 250 NPR for SAARC nationals while it is 1000 NPR for the other countries. It is better to start early since there are many things in the square and involves a lot of legwork. Also, be well-hydrated & carry sunscreen if visiting during summer as it can get pretty hot. The ideal time to cover the square would be 6 to 7 hours the least unless you want to feel rushed like us that tried completing the tour under 4 hours! 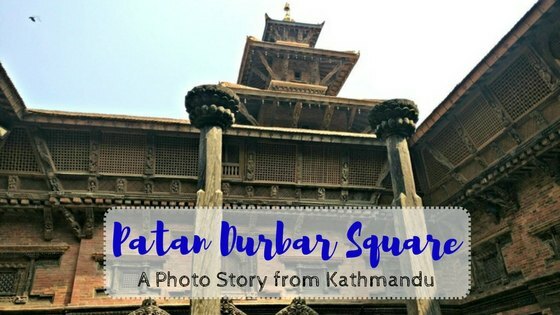 Have you been to Patan Durbar Square? How was your experience?